The United Nations Secretary-General, Antonio Guterreo, has named Jane Hall Late, currently in charge of dealing with sexual exploitation within the U.N. system as the new U.N. representative for consultations on long-divided Cyprus. She is to report the status of her consultations to the U.N. Security Council in late September. 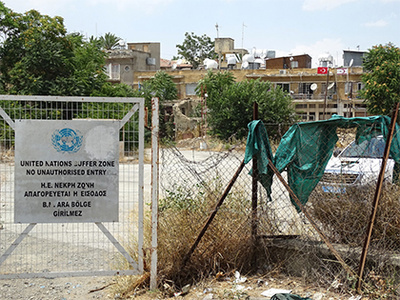 Cyprus has been divided between Greek and Turkish Cypriots since 1974; Turkish Cypriots in the north, Greek Cypriots in the south with a U.N. monitored buffer zone separating the two. There are still some 40,000 Turkish troops in the Turkish Cypriot area. The U.N. peacekeeping mission (UNFICYP) has been in Cyprus since 1964 when bad rioting among the Greek and Turkish populations was an indicator that things could get worse and lead to hostilities between Greece and Turkey themselves. The complex political situation has three States as “guarantor powers” - the United Kingdom which was the colonial master until 1963 and Greece and Turkey which created the tensions in the first place. There is general agreement that Cyprus should be one State and not two, that this one State would be federal in nature, and that this re-united State would be part of the European Union. But “the Devil is in the details;” The first but crucial “detail” is the geographic frontiers of the Greek and Turkish areas. Maps of preferred internal administrative borders have been exchanged at a 2017 meeting in Geneva but not made public. This is the first time that such maps have been exchanged. Given the emotional and complex nature of the situation, geographic divisions with no “natural” frontiers are an issue which can cause real disagreements. Moreover, frontiers that can be easily understood can serve as an excuse if the real disagreement is something else. There is a prior agreement that when there is finally a firm proposal, the nature of a Federal Cyprus will be presented to both Greek and Turkish Cypriot populations in simultaneous referendums. Thus the negotiators must take into consideration the popular attitudes on both sides so that the agreement is mutually acceptable. The hope is that “the time is ripe” for agreement when both Greece and Turkey are preoccupied with other issues in the volatile region and many Cypriots are tired of the status quo. 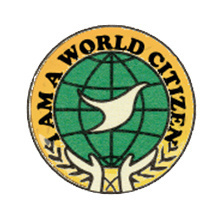 There are two aspects of the negotiations on which the Association of World Citizens has made proposals given the Association's long-standing interest in developing appropriate constitutional structures. First, while for understandable reasons, the term “federal” is now most often used rather than “con-federal”, in the case of Cyprus “a con-federal Cyprus” might be the better term, a looser form of union, one in which dealing with issues at the most local level possible would be the constitutional structure. Today, there is a need for cross-communal cooperation. Thus there may be a possibility for a Cyprus con-federation based not on geographic divisions but on functions, such as economic initiatives, land law, personal status concerning marriage, separation and inheritance. Such a functionally-based con-federation has conflict-solving potential. There is the Ottoman Empire precedent of different legal rules for people living in the same area. However, neo-Ottoman ideology may not be the best approach to stress in the current Cyprus negotiations. Cyprus, which has one of the oldest UN forces keeping the two communities apart, may be a spark of hope for advances in bringing them together as well.